Learn to use failure as an essential tool for accelerating career success. Today’s work environment can be described as “permanent whitewater.” Turbulence, change, and disruption are now constants. That means there are many more unknowns than there once were, and almost every decision you make must be based — at least in part — on those unknowns. The chance of being wrong has never been higher. But if you play it safe and never risk failure, you’ll not only never truly succeed, you and your organization could become obsolete as technology and competition change the business landscape. How you deal with the inevitable setbacks and failures as you take calculated risks can define you as a leader and have a major impact on your career. Leaders who cultivate the ability to recover from failure — quickly and efficiently — have a distinct competitive edge. And leaders who cultivate that ability in the people they lead are the ones that build highly effective teams and long-term loyalty. The following four strategies will help you to do just that. Treat your career as a series of experiments. When a lab experiment fails, the researcher isn’t heartbroken. The failure merely signals that it’s time to learn more, to rethink again — and then to start some new experiments. Use a similar approach with your career; whether it’s a merger or acquisition, new leadership, or overwhelming competition, forces outside your control can create an environment in which you cannot succeed. When that happens, look for opportunities to take small risks or experiments that can enhance your strengths and skills. Keep an open mind about possibilities rather than maintaining a single-minded devotion to a path that isn’t working. Cultivate the “experiment mindset” in your team members too. Follow the Action Steps in the Adaptive Experimentation Nano Tool for more ideas. Conduct after-action reviews. Be disciplined about analyzing your successes and failures as soon after they happen as you’re ready to learn and to prepare yourself for future projects. This Nano Tool shows you how. Don’t go it alone. Know your own and your team’s capabilities. If you are tasked with something new and beyond those capabilities, get advice, coaching, or even collaboration from others so you have a better chance at success. Try the Shark Tank method outlined in this Nano Tool to help strengthen and get the most from your team. Master the emotions of failure. All great leaders have benefited from experiencing failure or near failure early in their careers. It teaches them about leading themselves through trying times without succumbing to fear, frustration, anger, and other emotions that can lead to even greater failure. When you know that failure is a necessary part of the path to success, it’s easier to learn from it and continue on. This Nano Tool shows you how to replace beliefs, behaviors, and emotions that are holding you back with ones that will better help you achieve your goals. Akio Morita, co-founder of Sony, famously said, “Don’t be afraid to make a mistake. But make sure you don’t make the same mistake twice.” He was referring in part to his first invention, an automatic rice cooker whose poor performance doomed it to failure. He analyzed and learned from his mistakes, and his company next developed the transistor radio, which became an international success and made his company a global brand. The J.M. Huber Corporation uses after-action reviews after every planned project and significant unplanned event. Their AAR discussion centers on what happened, why, and what should be done about it — including a full explanation for any failures. Following the meeting, employees post their learnings to a database and an online after-action report is created, which includes action plans and lessons learned. Other employees around the world can search the database to find AARs on topics related to their work. 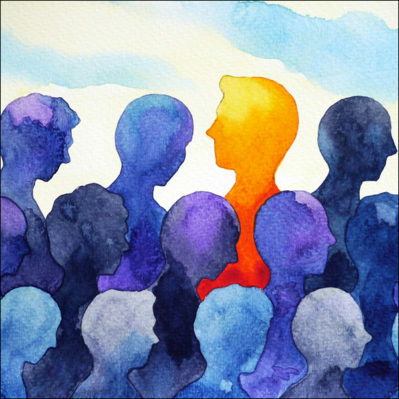 Employees are motivated to participate with incentives such as the Chairman’s Award for After Action Review (AAR) Excellence, which is given annually to a cross-functional team. Your Job Survival Guide: A Manual for Thriving in Change, Gregory P. Shea and Robert Gunther (FT Press, 2009). 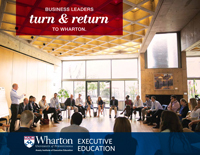 Provides a mindset and the skills necessary to thrive in an environment of non-stop change. Topics include pacing yourself; failing gracefully and recovering quickly; retaining optimism, resilience, and playfulness; protecting your career; and setting your own course. Leading Successful Change: 8 Keys to Making Change Work, Gregory P. Shea and Cassie A. Solomon (Wharton Digital Press, 2013). Presents a thorough guide to making change work using a tested method developed over a combined 50 years of helping organizations achieve their change initiatives. “Strategies for Learning from Failure,” Amy Edmonson. Harvard Business Review, April 2011. Differentiates between “good” and “bad” failures and outlines how to recognize and analyze them. 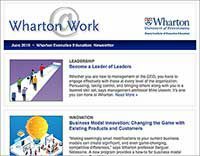 Greg Shea teaches in Wharton Executive Education’s High-Potential Leaders: Accelerating Your Impact, Becoming a Leader of Leaders: Pathways for Success, Leading and Managing People, and Leading Organizational Change.